Lauren’s entire look, from head to toe, caught my eye. The floppy sunhat is perfect to protect her face against the blisteringly hot sun, while the coral pink accordian-pleated skirt adds the right amount of summer lightness. 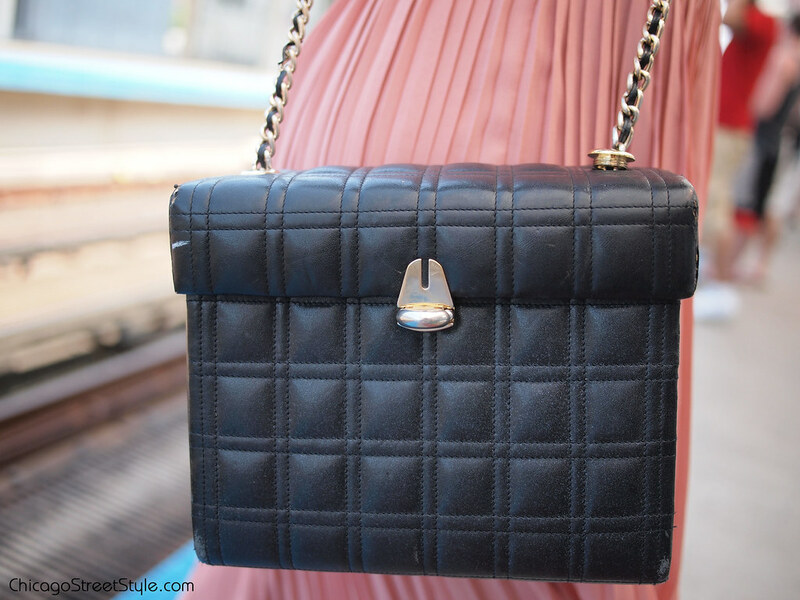 Her vintage bag elevates the ensemble with just the perfect dash of structure. Illiana is wearing my favorite color, cobalt blue, along with my favorite accessory – a neutral colored blazer with the sleeves rolled up. She’s also rocking the flatforms! Her perfect spring look earned her a coveted spot on Refinery29, click here to read that post. Holly was not only included in a “Perfect Weekend Outfit” story for Refinery29, but you may remember my close-up photo of her Celine envelope purse.